Before leaving Spain, I'd already had my wallet stolen by a pickpocket. Was traveling to Colombia going to be that much more of a risk than getting on a crowded metro after an FC Barcelona match? 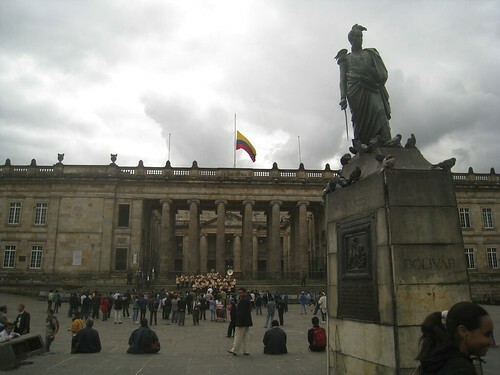 Due to a Couchsurfing stay in Bogota, I quickly began to feel at ease in a country with a violent past, and a troubled present (America's ongoing demand for cocaine doesn't help).